(NaturalNews) Agri- and biotech giant Syngenta is being sued by hundreds of farmers in at least 20 states for shocking business practices, including using the American people as GMO guinea pigs. According to Arkansas Business, one of the lawsuits against the Swiss seed manufacturer, which has been filed on behalf of two Newport-area farms, alleges that Syngenta "has engaged in a criminal conspiracy to contaminate the U.S. corn crop to force China (and) other nations that buy U.S. corn and U.S. farmers to accept" GMO corn. The suit, field by the Emerson Poynter law firm, which has offices in Little Rock and Houston, alleges that Syngenta violated the Racketeer Influenced & Corrupt Organizations Act, or RICO, which is usually used to fight organized crime. The firm filed the class-action suit in January on behalf of Eagle Lake Farms and Kenny Falwell, both operating farms in the Newport area. The suit was filed in U.S. District Court for the Eastern District of Arkansas. At least eight other suits have also been filed against the seed maker, the news report said. In all, there are hundreds of pending suits against Syngenta that have been filed by American farmers since last fall. The suits claim that Syngenta caused financial losses of between $1 billion and $2.9 billion to U.S. corn farmers after selling them GMO corn that China had yet to approve for use. China is a major (and growing) importer of American corn and maize-related byproducts. In particular, the suits identified the Agrisure Viptera seed, also known as MIR 162. The suits say the seeds have been genetically altered to resist corn pests including earworms and cutworms. The seed was approved by the U.S. Department of Agriculture in 2010. 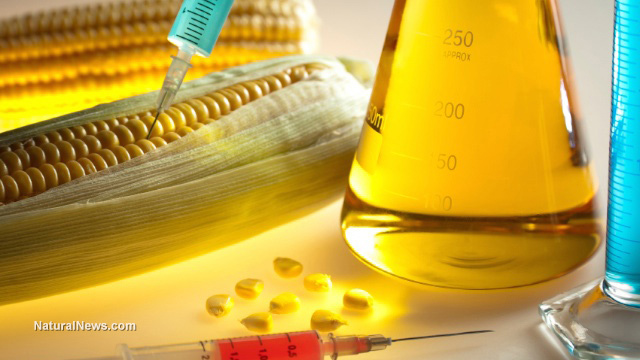 In November 2013, China began banning shipments of U.S. corn after its scientists detected the GMO trait, leading to a dramatic decrease in the price and value of U.S. corn. The suits allege that even farmers who did not use the GMO corn suffered economic losses as well. Farmers in 20 states have filed suit. Together, they represent 86 percent of all corn planted in the United States last year, plaintiffs' lawyers said. China went on to approve Viptera in December, but plaintiffs' lawyers say the development has little, if any, effect on their case. Scott Powell of Hare Wynn Newell & Newton of Birmingham, Alabama, is one of those lawyers. China, with its rapidly expanding middle class, has "a voracious appetite for corn," Powell said, and when it stopped buying U.S. corn, it found other vendors, like Brazil. And once a country finds a substitute vendor for a product, it rarely switches back. It's not just farmers lining up to sue Syngenta for its shady practice. Other agri-business giants are suing as well. For example ADM, one of the world's largest processors of corn, filed suit against the Swiss company in November. "Syngenta chose to sell a corn seed product with traits that were not approved in all major export markets, without undertaking reasonable stewardship practices to prevent the resulting crop from commingling with or otherwise tainting the rest of the U.S. corn supply," an ADM spokeswoman told Arkansas Business. For it's part, Syngenta says the suits are baseless, saying it "believes that the lawsuits are without merit and strongly upholds the right of growers to have access to approved new technologies that can increase both their productivity and their profitability," as reported by AgWeb.com. The company added that it "commercialized the trait in full compliance with regulatory and legal requirements," "obtained import approval from major corn importing countries," and "has been fully transparent in commercializing the trait over the last four years." U.S. farmers take China's business seriously. "We don't mess with China," Deb Volnek, a Nebraska farmer involved in the suit against Syngenta, told Reuters. "When China buys something, the markets go up. When they don't, the markets go down."